Welcome to BLCF Church’s Morning Prayer and Worship Service for the last Sunday of September 2018. Hereford’s Mappa Mundi contains more than 500 ink drawings including amazing ‘evidence’ for apparent locations of key biblical events. A HISTORIC map which marks the supposed sites of religious events is still being decoded – nearly 1,000 years after it was made. The Mappa Mundi, in Hereford Cathedral, contains more than 500 ink drawings including amazing ‘evidence’ for apparent locations of key biblical happenings. Measuring 1.59 x 1.34 metres (5ft 2ins by 4ft 4ins), the map is constructed on a single sheet of vellum (calf skin). On the map the world is depicted as a circle with East at the top of the map – to mark the rising of the sun and the second coming of Christ. 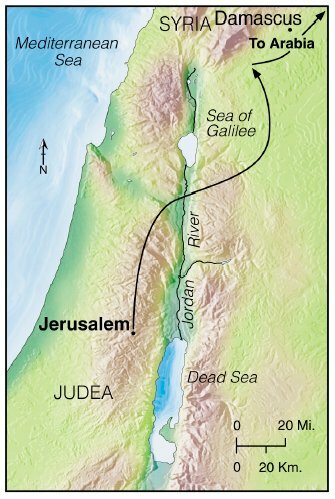 Jerusalem sits at its centre as was common at the time. And that ties in with the theory that the ruptured remains of the legendary vessel can now be found on Mount Ararat, in eastern Turkey. Close to the very centre of the Mappa Mundi can be found the Tower of Babel – said to have been built after the great flood. According to the Bible, the tower was so tall it was seen as a challenge to God, who caused humanity to speak in different languages as a punishment. It has been long claimed that Shinar, where the Bible says the tower stood, was in south Mesopotamia and that Babel was located at Babylon. However those that have studied the incredible and beautiful map put it in what is now Syria. Eden is represented by a circular island at the very top of the map surrounded by a ring of fire and separated from the land masses by water. Eve is seen taking fruit from the tree of knowledge from a terrifying serpent perched in the tree. Hereford Cathedral’s commercial director Dominic Harbour said: “The map disarms anybody who stands in front of it. “It’s really a cacophony of too much going on at the same time. The map’s unfathomable, really. Scholars believe it could be 1,000 years old and shows the history, geography and destiny of humanity as it was understood in Christian Europe in the late thirteenth and early fourteenth centuries. The inhabited part of the world as it was known then, roughly equivalent to Europe, Asia and North Africa, is mapped within a Christian framework. Jerusalem is in the centre, and east is at the top. East, where the sun rises, was where medieval Christians looked for the second coming of Christ. 11 Now the whole earth had one language and the same words. 2 And as people migrated from the east, they found a plain in the land of Shinar and settled there. 3 And they said to one another, “Come, let us make bricks, and burn them thoroughly.” And they had brick for stone, and bitumen for mortar. 4 Then they said, “Come, let us build ourselves a city and a tower with its top in the heavens, and let us make a name for ourselves, lest we be dispersed over the face of the whole earth.” 5 And the Lord came down to see the city and the tower, which the children of man had built. 6 And the Lord said, “Behold, they are one people, and they have all one language, and this is only the beginning of what they will do. And nothing that they propose to do will now be impossible for them. 7 Come, let us go down and there confuse their language, so that they may not understand one another’s speech.” 8 So the Lord dispersed them from there over the face of all the earth, and they left off building the city. 9 Therefore its name was called Babel, because there the Lord confused[a] the language of all the earth. And from there the Lord dispersed them over the face of all the earth. I would like to point out that in Genesis 11:7, the Lord refers to Himself in the plural, which is appropriate for the Godhead or Holy Trinity. The Lord takes great exception to the people who migrated from the east, settling in the land of Shinar, and together decided to build there a tower with its top in the heavens. At that time, people spoke the same language, and the Lord decided the easiest way to foil their plan to build this tower, which He found to be an abomination, was to confuse the people by causing to speak in different languages. This was to ensure that the people could not understand each other so as to prevent them from understanding one another, which in-turn would foil the people’s plans to collectively build a tower to heaven. Not only were Adam and Eve’s eyes opened to an awareness of good and evil, which brought them an awareness of their sin and being naked, which prompted them to hide because of their nakedness because of their fear. And their fear and guilt of their transgression to God, caused Adam to blame Eve, and Eve to blame the serpent for their sins. Not only had they disobeyed God, but they also lied to Him when they refused to take responsibility for their own actions. 20 The man called his wife’s name Eve, because she was the mother of all living. [a] 21 And the Lord God made for Adam and for his wife garments of skins and clothed them. The Tower of Babel was constructed after Adam and Eve were punished for their sin, bringing the punishment of the loss of fellowship with God and the punishment of death. There was no manner of works, including building a tower to heaven, which would allow people to restore what the Lord had decided to remove as a punishment for their sins. 11 Therefore remember that at one time you Gentiles in the flesh, called “the uncircumcision” by what is called the circumcision, which is made in the flesh by hands— 12 remember that you were at that time separated from Christ, alienated from the commonwealth of Israel and strangers to the covenants of promise, having no hope and without God in the world.13 But now in Christ Jesus you who once were far off have been brought near by the blood of Christ. 14 For he himself is our peace, who has made us both one and has broken down in his flesh the dividing wall of hostility 15 by abolishing the law of commandments expressed in ordinances, that he might create in himself one new man in place of the two, so making peace, 16 and might reconcile us both to God in one body through the cross, thereby killing the hostility. 17 And he came and preached peace to you who were far off and peace to those who were near. 18 For through him we both have access in one Spirit to the Father.19 So then you are no longer strangers and aliens,[a] but you are fellow citizens with the saints and members of the household of God, 20 built on the foundation of the apostles and prophets, Christ Jesus himself being the cornerstone, 21 in whom the whole structure, being joined together, grows into a holy temple in the Lord. 22 In him you also are being built together into a dwelling place for God by[b] the Spirit. God has provided a plan to sanctify us through his son and reconcile us as a body of believers to our Father, so that we may look forward to that day when Christ returns to walk, talk, and fellowship with Him in that garden, at the cool of the day. In past lessons shared at BLCF on previous Sundays, we have examined how those who view religion with a purely legalistic outlook without faith carry an attitude which can act like excess baggage and impede their faith walk. A specific example would be the Pharisee, Nicodemus, who had difficulty with Jesus’ teachings about being born again in the Spirit. Though Nicodemus had what can be described as having head knowledge of God’s laws and the Scriptures, he had little or no faith understanding of God’s spiritual intent behind those commandments. Without faith or belief that Jesus came to end our judgment under the law, we face the impossible task of being perfect within the law to prevent our own condemnation. We should conclude that all the other things of this world are of little importance to God, except our faith in Him, which God desires most from us. To grow our faith, we need to discard the excess baggage of the world, focus on the gifts of the Holy Spirit and the Gospel of Jesus. So you may ask yourself: “What are the risks of taking a purely legalistic approach to our faith?” Before we discuss the penalty or remedy, let us first look at the laws which govern us in our faith walk. We have two sets of laws that were given to the people of Israel. First, we have God’s 10 Commandments, written on stone tablets by God, and were carried beside the Ark of the Covenant. Next, we have the Ceremonial Law or Mosaic Law, written by Moses, which was carried as a book on the side of the Arc of the Covenant. There is a chart inside today’s bulletin which helps us to distinguish one from another. God expects us to abide by His 10 Commandments. Now the legalist might question the name of these God-given laws. According to Wikipedia, the Ten Commandments are called, in biblical Hebrew, עשרת הדברים (transliterated Asereth ha-D’bharîm) and in Rabbinical Hebrew עשרת הדברות (transliterated Asereth ha-Dibroth), both translatable as “the ten words”, “the ten sayings” or “the ten matters”. The Tyndale and Coverdale English translations used “ten verses”. The Geneva Bible appears to be the first to use “tenne commandements”, which was followed by the Bishops’ Bible and the Authorized Version (the “King James” version) as “ten commandments”. Most major English versions follow the Authorized Version. The English name “Decalogue” is derived from Greek δεκάλογος, dekalogos, the latter meaning and referring to the Greek translation (in accusative) δέκα λόγους, deka logous, “ten words”, found in the Septuagint (or LXX) at Exodus 34:28 and Deuteronomy 10:4. The stone tablets, as opposed to the commandments inscribed on them, are called לוחות הברית: Luchot HaBrit, meaning “the tablets of the covenant”. It is not surprising that some scholars will even confuse Ceremonial Laws of Moses with God’s Commandments. It is only the Ordinances and Decrees that Jesus removed by His crucifixion, not God’s 10 Commandments. Just as important as keeping God’s Laws, both to God and ourselves, is the need to keeping faith with the Lord. While a legalist may say that they abide by both the law and the spirit of the law. But that is not the same as abiding by the law of the spirit, which is, in essence, keeping the faith with the Lord. 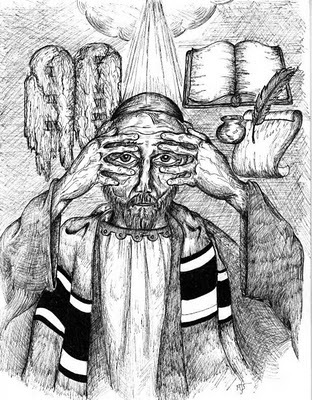 a member of an ancient Jewish sect that differed from the Sadducees chiefly in its strict observance of religious practices, liberal interpretation of the Bible, and adherence to oral laws and traditions. a self-righteous person; a hypocrite. The Pharisee was astonished that Jesus did not wash before dinner, which was a Jewish Ceremonial observance, not for reasons of hygiene. The washing supposedly made one clean before God, something mandated by man, not by God. The reaction of the Pharisee gave Jesus an opportunity to criticize the Pharisee for being focused on the relative superficiality of being focused on outward appearances and what is on the inside, where greed and wickedness contradict an outward demeanor of righteous. Jesus gave the desire to have the best seats in the synagogues and the desire to be acknowledged in the public marketplaces as examples of the Pharisee’s greed. As for wickedness, Jesus pointed to Pharisee injustice to others and avoidance of love to God. When a lawyer objected to what Jesus said, by characterizing these truthful observations as an insult not just to the Pharisees, but as an insult to lawyers as well. By defending the criticisms that Jesus made of the Pharisees and siding with them, the lawyer attempted to try to make such behaviour as righteous and justified. This opened the door for Jesus to observe how lawyers do behave fit the definition of a Pharisee, being self-righteous hypocrites. 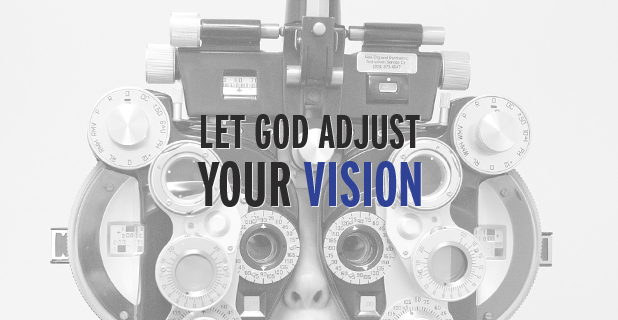 Jesus commented on how the lawyers saw fit to burden people, rather than to help them. Jesus spoke of the hypocrisy shown by building tombs and monuments to the prophets who were killed by the fathers of the lawyers. And being educated and learned, the lawyers have had an opportunity to a faith practice, which they not only avoided but acted as a stumbling block to others finding faith. This is a perfect example of one reading the scriptures with the mind, but not the heart. By obsessing on the words and not the intent of God’s word, they miss the true meaning of the scriptures for both themselves as well as for those to whom they read the verses. But is missing the mark of comprehending and sharing the scriptures limited to just Pharisees and Lawyers? Do some Christians recite verses from the Holy Word by rote, as if the words alone have some magical power? Let’s have look at how Jesus taught us to pray. The Lord’s Prayer is a central prayer in Christianity also commonly known as Our Father and in the Latin tongue as the Pater Noster. 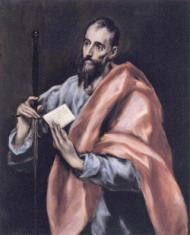 In the New Testament of the Christian Bible, it appears in two forms: in the Gospel of Matthew as part of the Sermon on the Mount, and in the Gospel of Luke,which records Jesus being approached by “one of his disciples” with a request to teach them “to pray as John taught his disciples.” The prayer concludes with “deliver us from evil” in Matthew, and with “lead us not into temptation” in Luke. The first three of the seven petitions address God; the second four are prayers related to our needs and concerns. The liturgical form is Matthean. Some Christians, particularly Protestants, conclude the prayer with a doxology, an addendum appearing in some manuscripts of Matthew, but originating in an ancient Christian writing known as the Didache. Though Matthew 6:12 uses the term debts, the older English versions of the Lord’s Prayer uses the term trespasses, while ecumenical versions often use the term sins. The latter choice may be due to Luke 11:4, which uses the word sins, while the former may be due to Matthew 6:14 (immediately after the text of the prayer), where Jesus speaks of trespasses. As early as the third century, Origen of Alexandria used the word trespasses (παραπτώματα) in the prayer. Though the Latin form that was traditionally used in Western Europe has debita (debts), most English-speaking Christians (except Scottish Presbyterians and some others of the Reformed tradition), use trespasses. The Established Presbyterian Church of Scotland, the Church of Christ, Scientist, as well as the Congregational denomination follow the version found in Matthew 6 in the Authorized Version (known also as the King James Version), which in the prayer uses the words “debts” and “debtors”. The Latin version of this prayer has had cultural and historical importance for most regions where English is spoken. The text used in the liturgy (Mass, Liturgy of the Hours, etc.) differs slightly from that found in the Vulgate Jerome is considered to be responsible for changes such as the use of “supersubstantialem” instead of “cotidianum” as a translation of “ἐπιούσιον” (epiousios) in the Gospel of Matthew, though not in the Gospel of Luke. The doxology associated with the Lord’s Prayer is found in four Vetus Latina manuscripts, only two of which give it in its entirety. The other surviving manuscripts of the Vetus Latina Gospels do not have the doxology. The Vulgate translation also does not include it, thus agreeing with critical editions of the Greek text. In the Latin Rite liturgies, this doxology is never attached to the Lord’s Prayer. Its only use in the Roman Rite liturgy today is in the Mass as revised after the Second Vatican Council. It is there placed not immediately after the Lord’s Prayer, but instead after the priest’s prayer, Libera nos, quaesumus…, elaborating on the final petition, Libera nos a malo (Deliver us from evil). It is a common fallacy among some Christians and even certain Biblical scholars, that the Bible is based on one single set of manuscripts housed in some library, monastery or museum. All they have to do is go to this place and reference these ancient scrolls to obtain a definitive translation of the scriptures. This misconception likely comes from present law-givers being able to see and reference the original historical documents such as the Canadian Charter of Rights, the US Constitution or the British Magna Charta. The Hebrew Bible or The Tanakh was mainly written in Biblical Hebrew, with some portions (notably in Daniel and Ezra) in Biblical Aramaic. From the 9th century to the 15th century, Jewish scholars, today known as Masoretes, compared the text of all known biblical manuscripts in an effort to create a unified, standardized text. A series of highly similar texts eventually emerged, and any of these texts are known as Masoretic Texts (MT). The Masoretes also added vowel points (called niqqud) to the text, since the original text only contained consonant letters. This sometimes required the selection of an interpretation, since some words differ only in their vowels—their meaning can vary in accordance with the vowels chosen. In antiquity, variant Hebrew readings existed, some of which have survived in the Samaritan Pentateuch and other ancient fragments, as well as being attested in ancient versions in other languages. The New Testament was written in Koine Greek. The discovery of older manuscripts, which belong to the Alexandrian text-type, including the 4th century Codex Vaticanus and Codex Sinaiticus, led scholars to revise their view about the original Greek text. Attempts to reconstruct the original text are called critical editions. Karl Lachmann based his critical edition of 1831 on manuscripts dating from the 4th century and earlier, to demonstrate that the Textus Receptus must be corrected according to these earlier texts. Alternative word order, the presence or absence of an optional definite article (“the”), and so on. Occasionally, a major variant happens when a portion of a text was accidentally omitted (or perhaps even censored), or was added from a marginal gloss. Fortunately, major variants tend to be easier to correct. Examples of major variants are the endings of Mark, the Pericope Adulteræ, the Comma Johanneum, and the Western version of Acts. Early manuscripts of the letters of Paul and other New Testament writings show no punctuation whatsoever. The punctuation was added later by other editors, according to their own understanding of the text. 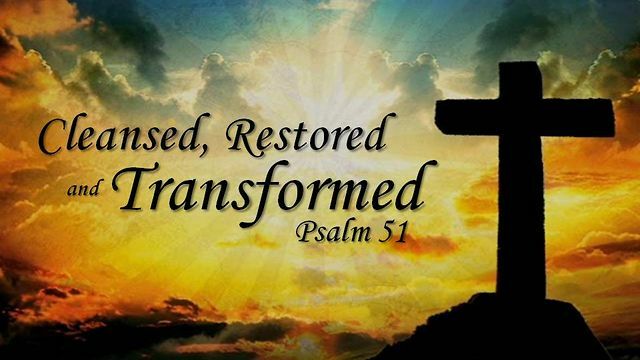 Again, we see that the key to salvation and forgiveness from God lies in our heart, as an expression of our faith in the sacrifice and resurrection of Jesus, and our testimony to the truth of God’s love. As you may surmise from the Scripture verses, today’s lesson, entitled ‘Sin and Sanctification: Just a Stone’s Throw from Each Other’, will look at accounts of stoning in the Bible. 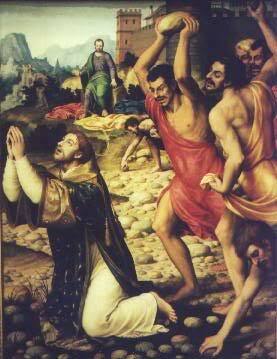 Stoning, or lapidation, is a form of capital punishment whereby a group throws stones at a person until he or she dies. No individual among the group can be identified as the one who kills the subject. This is in contrast to the case of a judicial executioner. 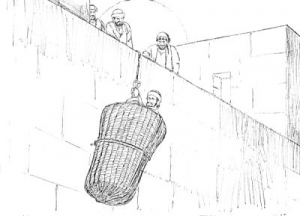 Slower than other forms of execution, stoning within the context of Modernism or contemporary Western Culture, is considered a form of execution by torture. 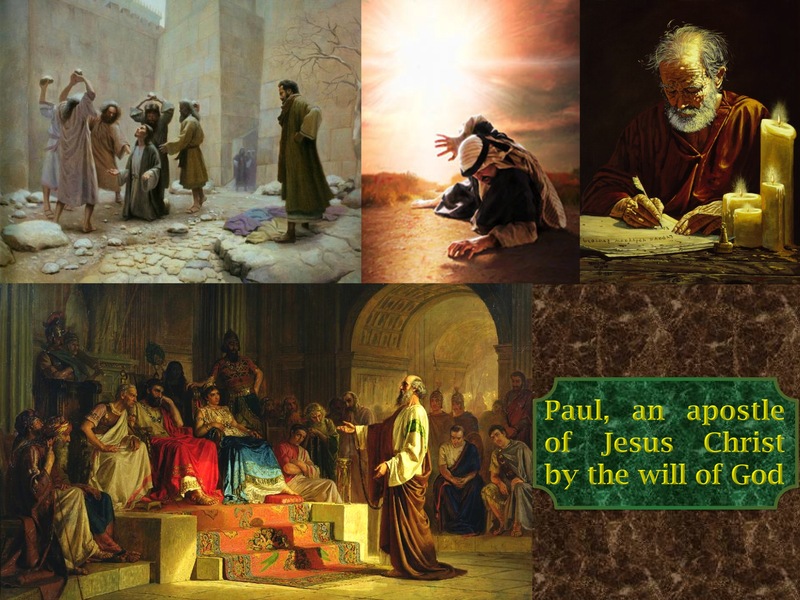 The first of today’s accounts of stoning an individual is found in John 8:1-11, where we have the familiar account of a woman who was caught in adultery, who was brought by the scribes and Pharisees to Jesus as part of a plan to test and trap our Lord, as he was teaching in the temple. Jesus was asked what should be done with the adulteress, citing that Mosaic Law mandated that she be stoned or killed for her transgression. But as Jerusalem was under Roman jurisdiction, and only Roman officials had the authority to judge or execute the woman. The trap was intended to have Jesus side with one authority over the other. If Jesus agreed with the Mosaic Law, to stone the woman, the scribes and Pharisees would inform the Roman authorities that Jesus was guilty of usurping the authority of Rome. If the Lord told them to bring the woman to the Roman authorities, the scribes and Pharisees could accuse Jesus of breaking the Mosaic Laws. We see that our Lord did neither, but challenging anyone who believed himself to be without sin, to cast the first stone at the woman. No stone was tossed and the crowd dissipated. Jesus then asked the woman whether any of her accusers had remained, to which she answered no. Jesus responded that neither did he accuse her, instructing her to go and sin no more. Our second Scripture Verse, tell the story of the Apostle Stephen, the first to be martyred for preaching truth from the Scriptures. Our verses, form Acts 6:8-15 and Acts 7:51-60 describe how Stephen was falsely accused of speaking against before the council accused by several groups of speaking blasphemous words against the Law of Moses, God and the temple, any consideration of these violations carried the death penalty of being stoned. Stephen was arrested and instead of defending refuting the false charges, pointed out how his accusers were guilty of bearing false witness and rebelling against the authority of God. In Acts 7, Verses 1-50, Stephen gives a concise, condensed accounting of how previously, Joseph, Moses, John the Baptist, and Jesus were victims of those who challenged God’s authority, with Solomon having the audacity of attempting to house God in the temple. Chapter 7 of Acts gives a wonderful synopsis of the challenges the people of Israel gave to God’s Prophets and His Son. While the Speech or Sermon of Stephen covers centuries of time, we see a repeated pattern of disobedience to God, which resulted in the children of Israel repeatedly being punished by God, who allowed them to be enslaved or subjugated by the Egyptians, Babylonians, and the Romans. We see how God repeatedly demonstrated His love and compassion for His children by providing leaders to deliver them from death and enslavement, with His Son, Jesus, providing a way from the judgment for sin. Stephen’s truthful account of how God’s love was spurred; His rules disobeyed; and His Son rejected, angered his accusers, who killed the Apostle by stoning him. 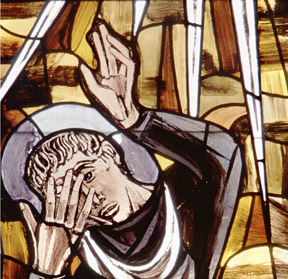 Before his death, Stephen, being described as being full of the Holy Spirit, looked towards Heaven and saw Jesus standing at the right-hand side of the Father. Stephen’s last words were to commend his spirit to God and to ask Him to forgive those who persecuted him. Our third set of Scriptures describes the faith transformation of Saul of Tarsus by an encounter with Jesus on the Road to Damascus in Acts 22:6-21. This is the same Saul described in Acts 7:58, who watched the garments of those who stoned the Apostle Stephen, as Saul acknowledged in Acts 22:20. We see that instead of having Saul being punished for his crimes of murder, our Lord showed compassion to Saul, who now identified himself as Paul, now an apostle of the Gospel and way of the Lord. Such is the degree of love and compassion demonstrated by our Lord and the transformative power of the Holy Spirit. 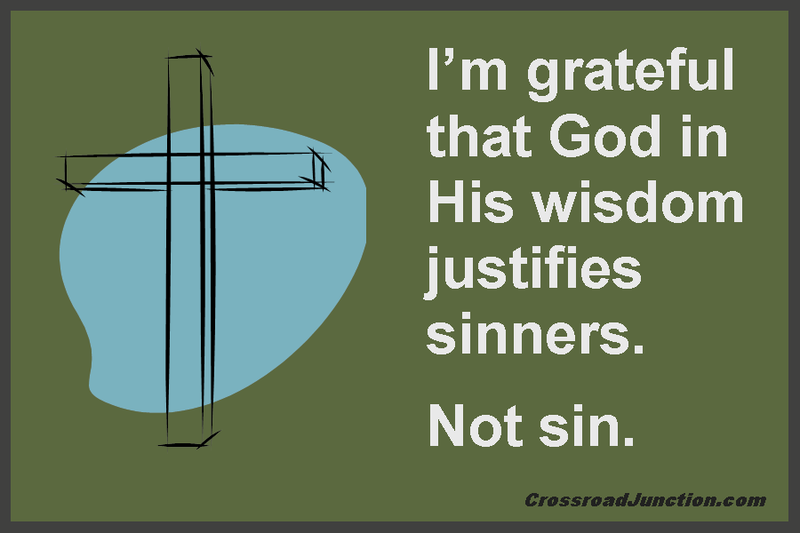 Jesus’ sacrifice had removed the judgment of sin from those who confess by faith, including Saul of Tarsus. The Lord will come and knock at our door, asking us to allow him to come into our hearts. 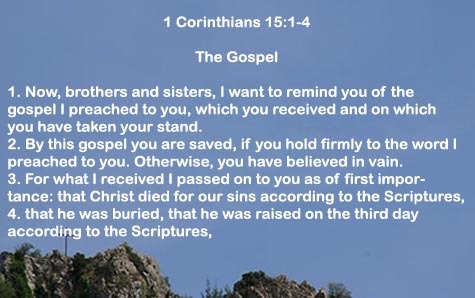 If we answer his call by accepting his gift of salvation, confessing to him our sins, and allowing him to be our Lord in our lives; we are born again in the Holy Spirit. We are given the choice to cast a stone of sin or drop that stone and answer the knock at the door and be sanctified from sin through Christ. The decision is ours’. The decision, that is just a stones-throw away.